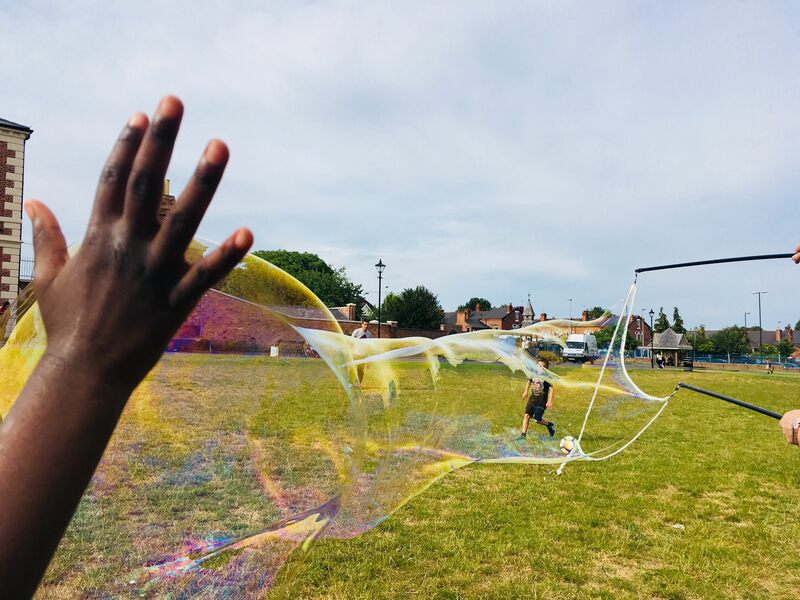 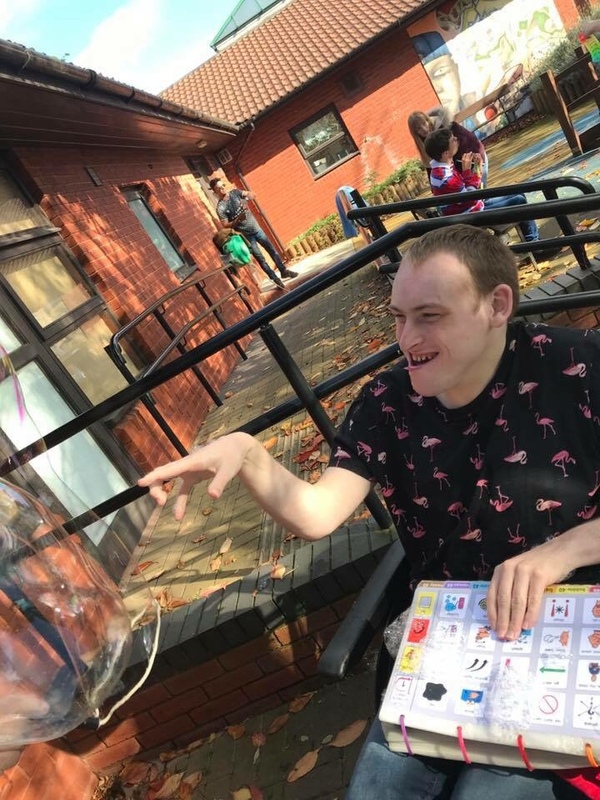 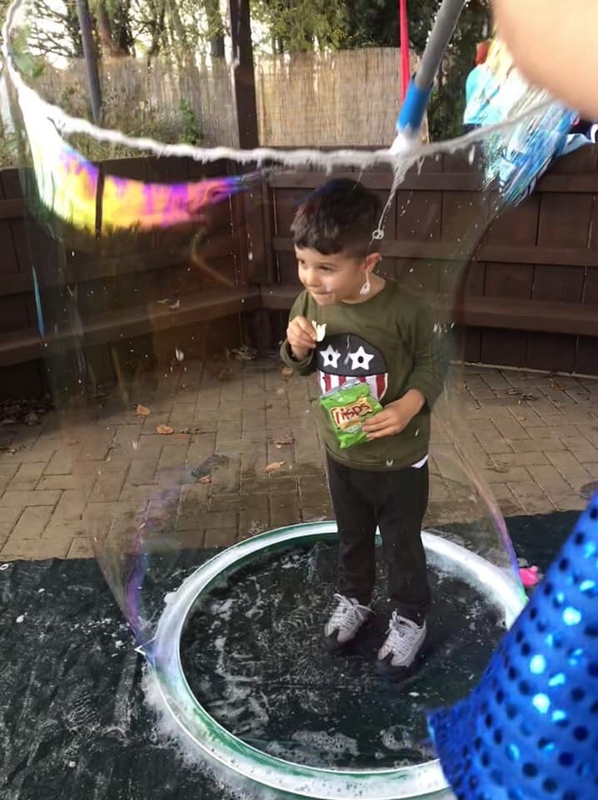 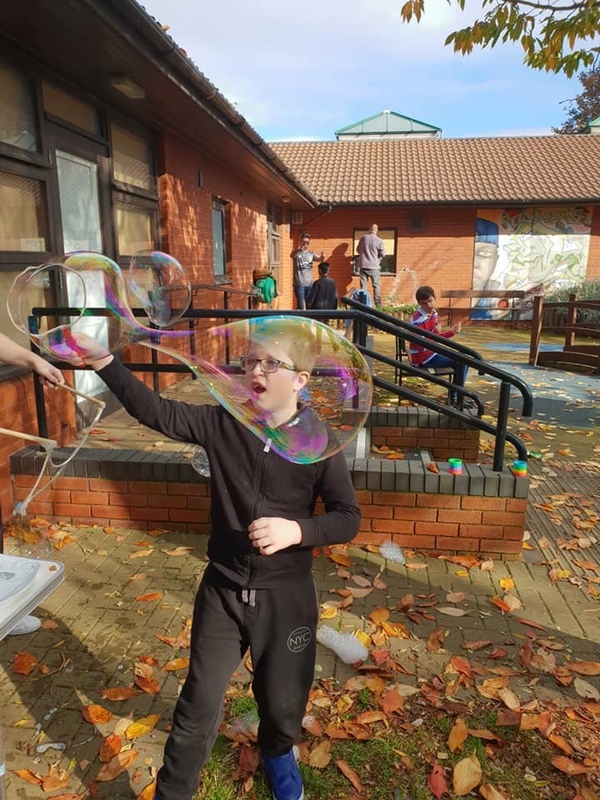 We have provided bubble entertainment for shopping centres holiday programmes, weddings, school science weeks, festivals, sensory activity groups, birthday entertainment, and residential homes. 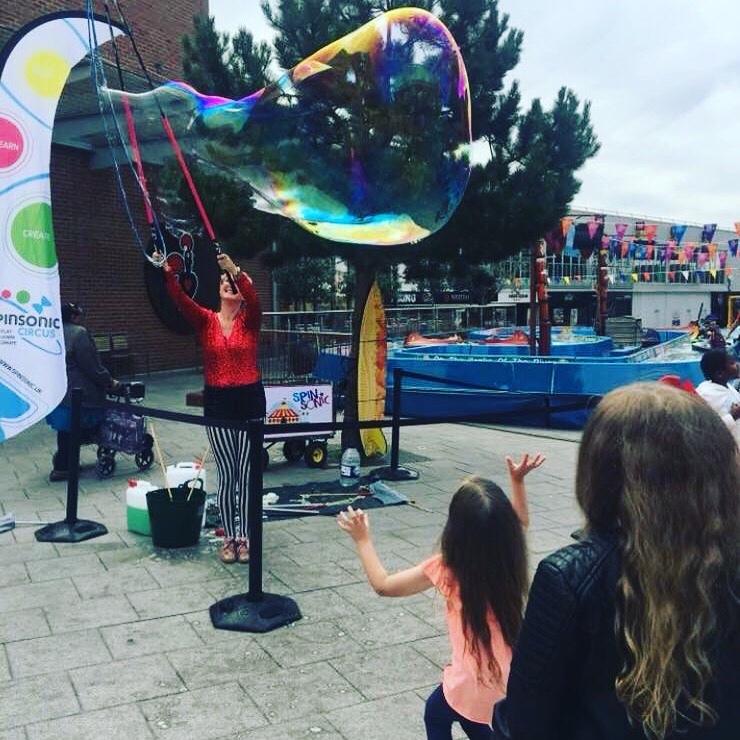 Book an Incredibubble Bubbleology bubble show or interactive bubble workshop for your event! 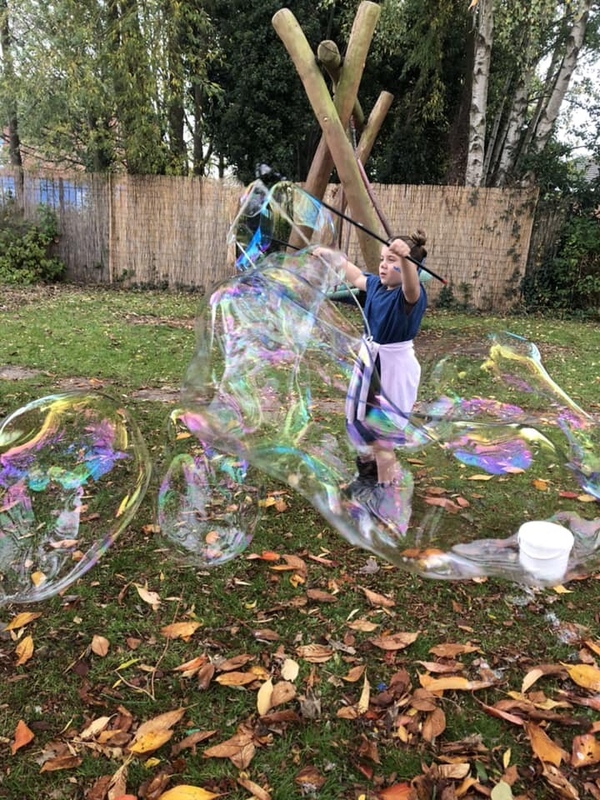 We provide a fabulous show of giant bubbles, fog filled bubbles, bubble tricks, waves of huge bubbles, and millions of small bubbles to delight and amaze people of all ages. 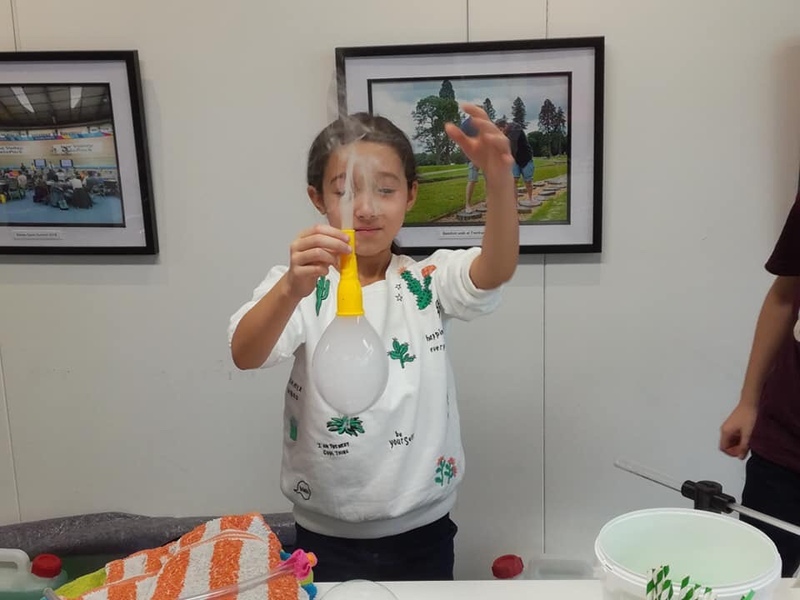 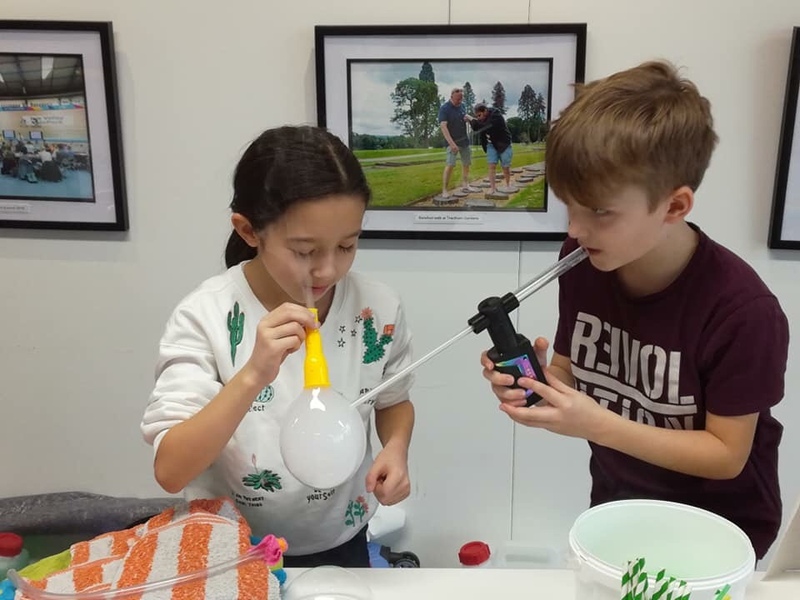 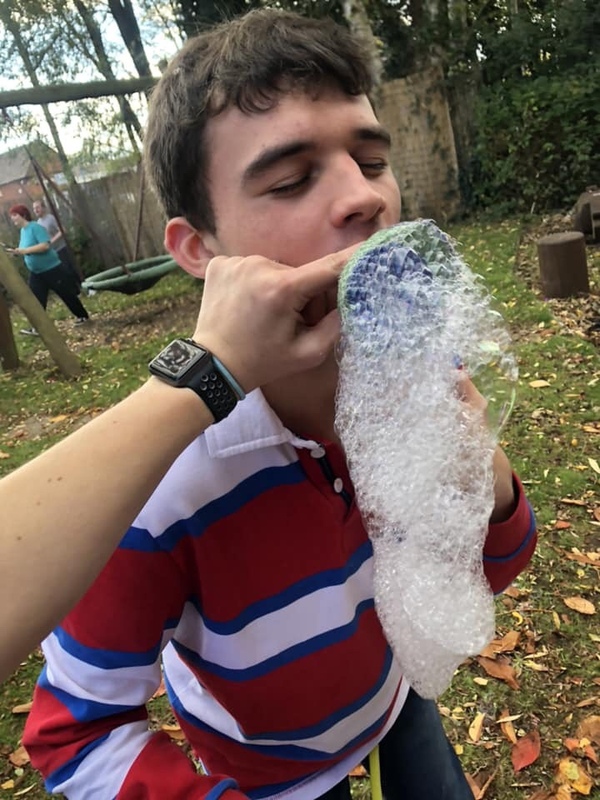 We also provide interactive, sensory bubble workshops where participants can make bubble wands and foamers, catch fog filled bubbles, bounce bubbles, learn bubble tricks, discover scented bubbles, make their own bubble wands, and try their hand at making giant bubbles themselves. 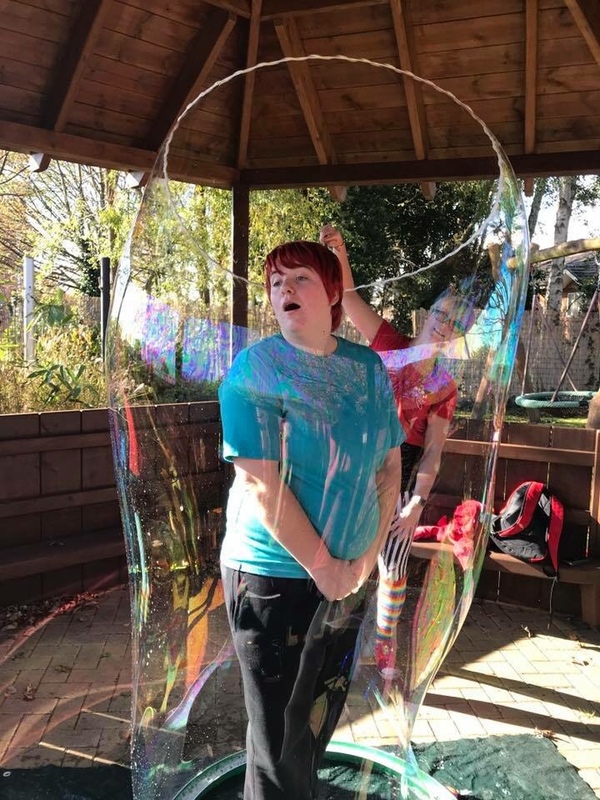 We even have a bubble hair salon, and put people inside giant bubbles! 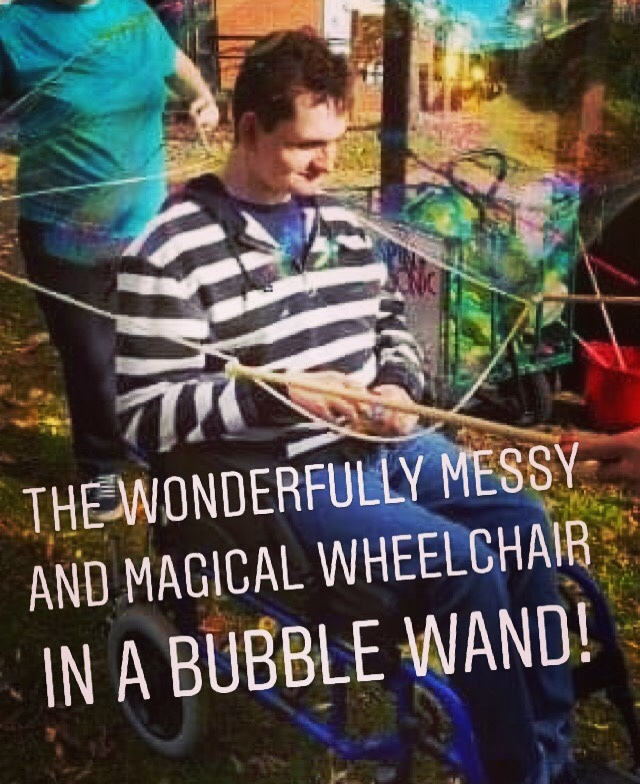 We have large handled wands suited for people with less mobility. 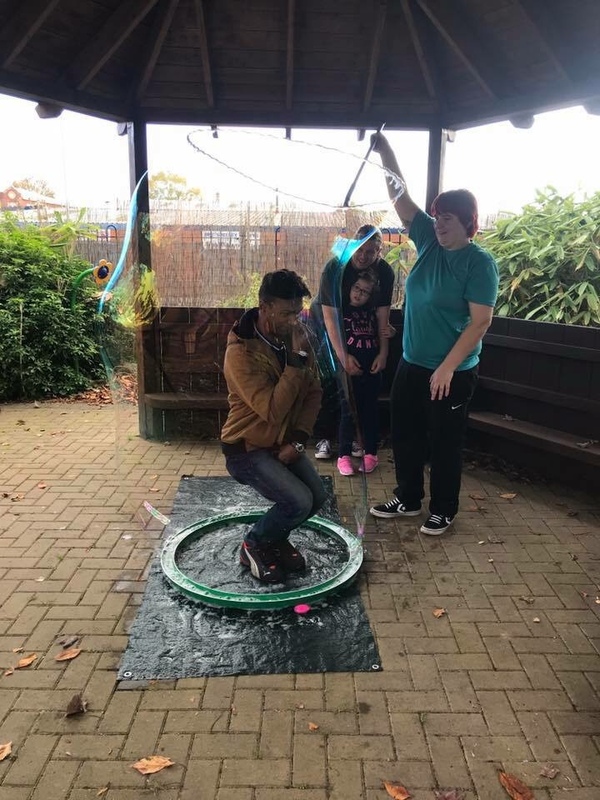 We show participants how to catch bubbles, put bubbles inside bubbles, and play bubble ‘ping pong’ with another person! 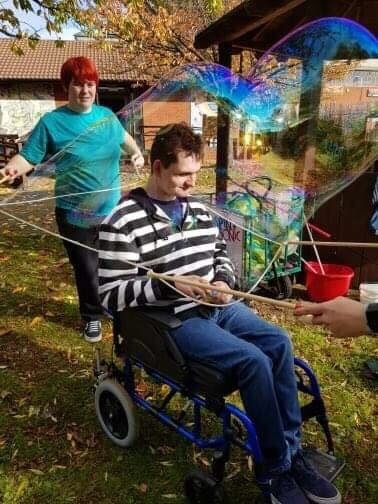 We can even put people including those in wheelchairs inside a giant bubble! 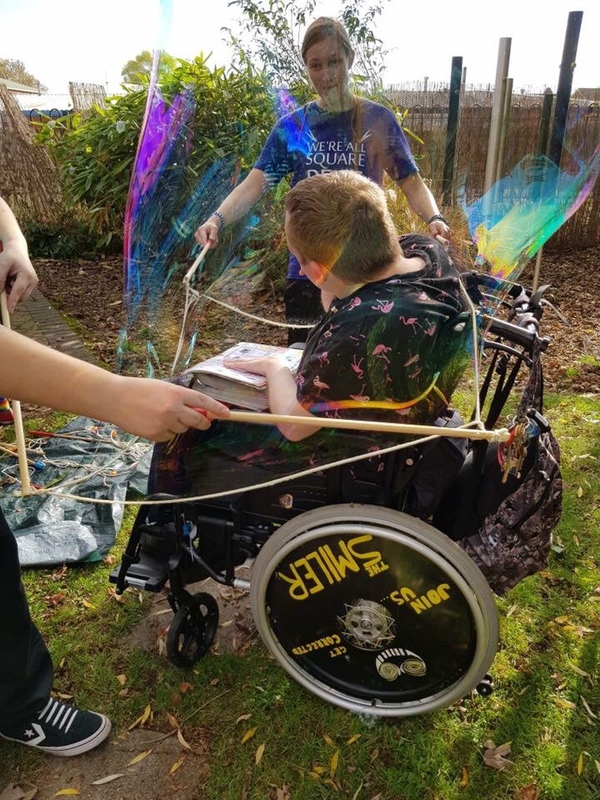 Bubbles are fun, theraputic, and a wonderful sensory experience. 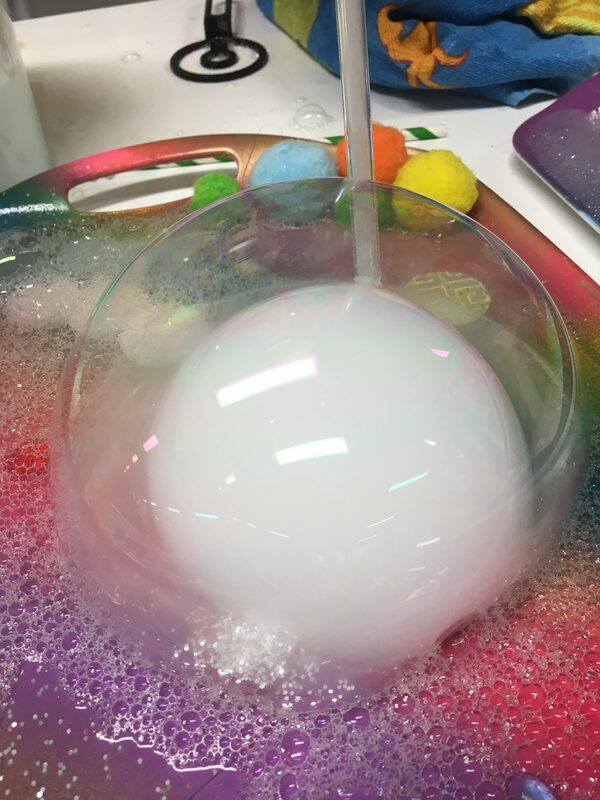 Bubbleology is the perfect activity for a school science week. 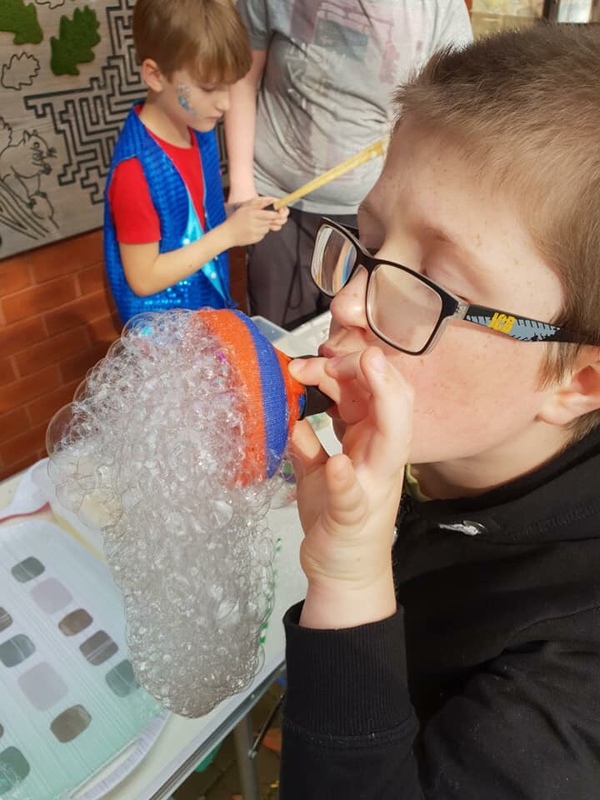 Education, engaging and so much fun for the children – and staff! 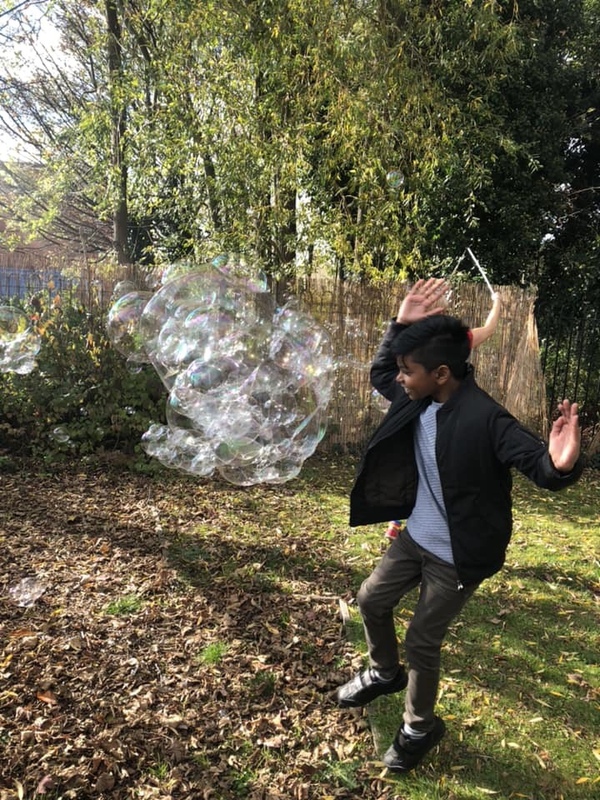 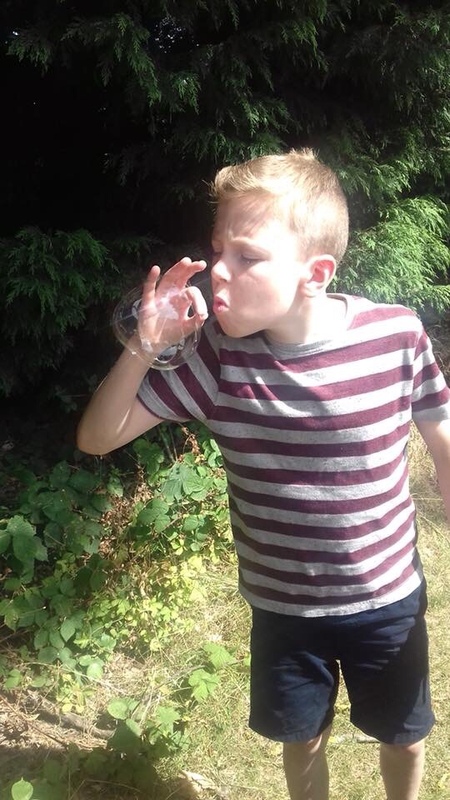 Beginning with a 25 minute assembly, we demonstrate bubble tricks and giant bubbles, talking about the science behind bubbles, appropriate to the age group. 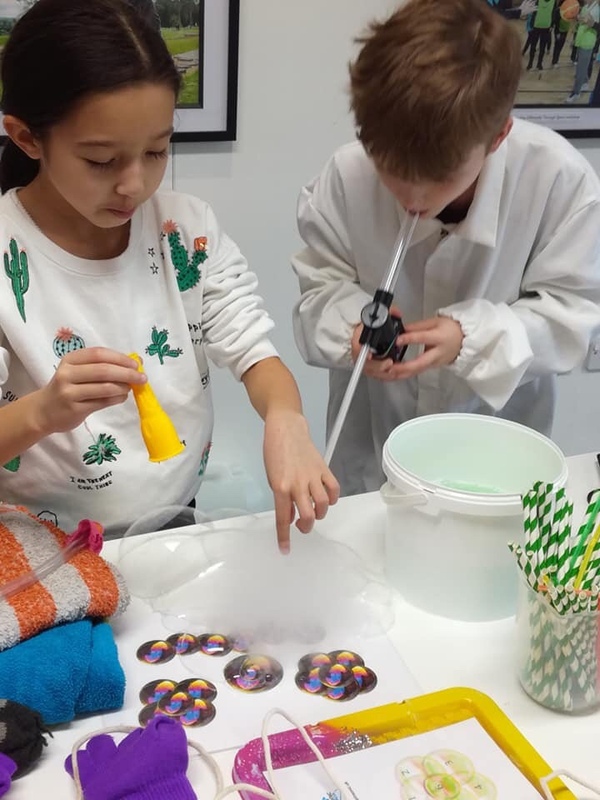 For older children we introduce the subjects of polymers, the effects of different gases, gravity and geometry. 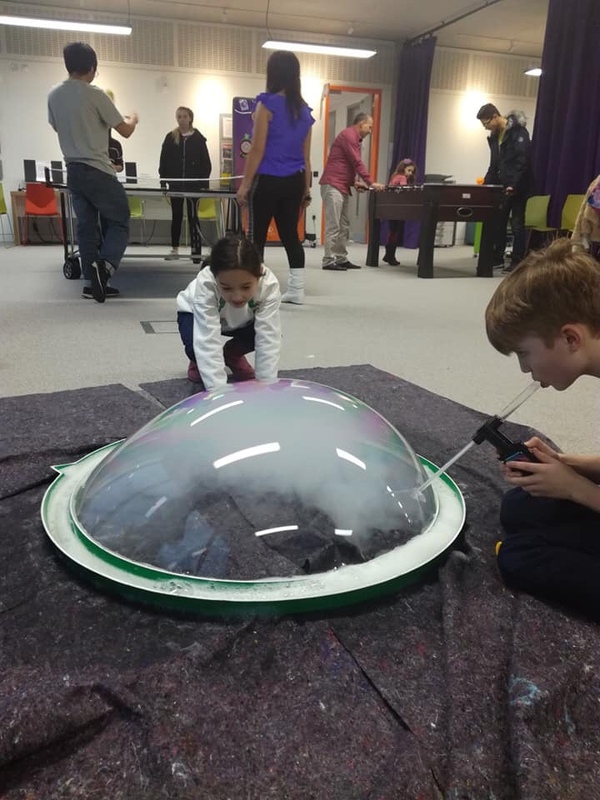 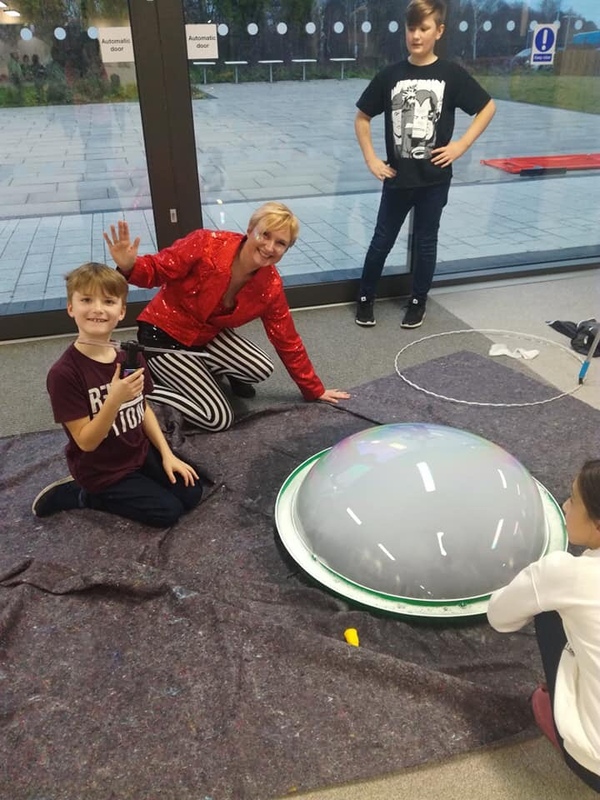 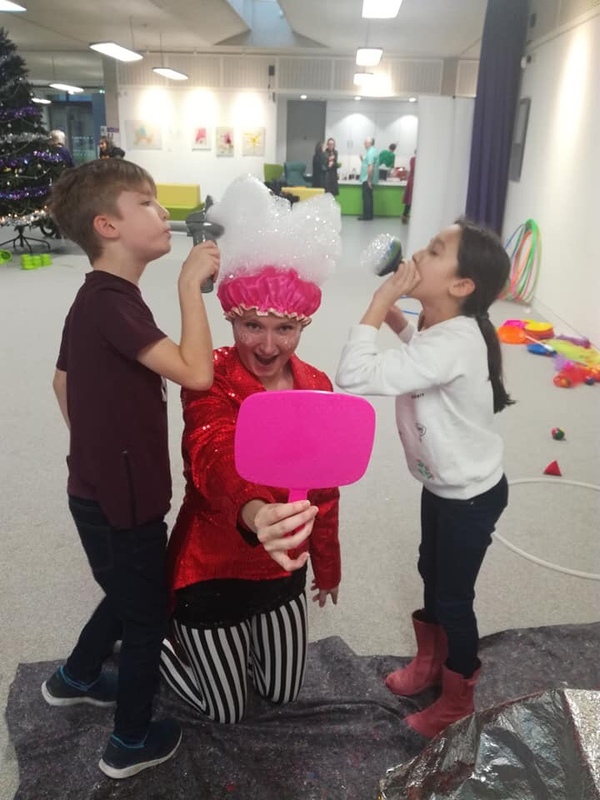 We then take classes of up to 31, in sessions of 45 minutes – 1 hour for an exciting and engaging age appropriate session of bubble tricks, foam, fun and messy bubble science. 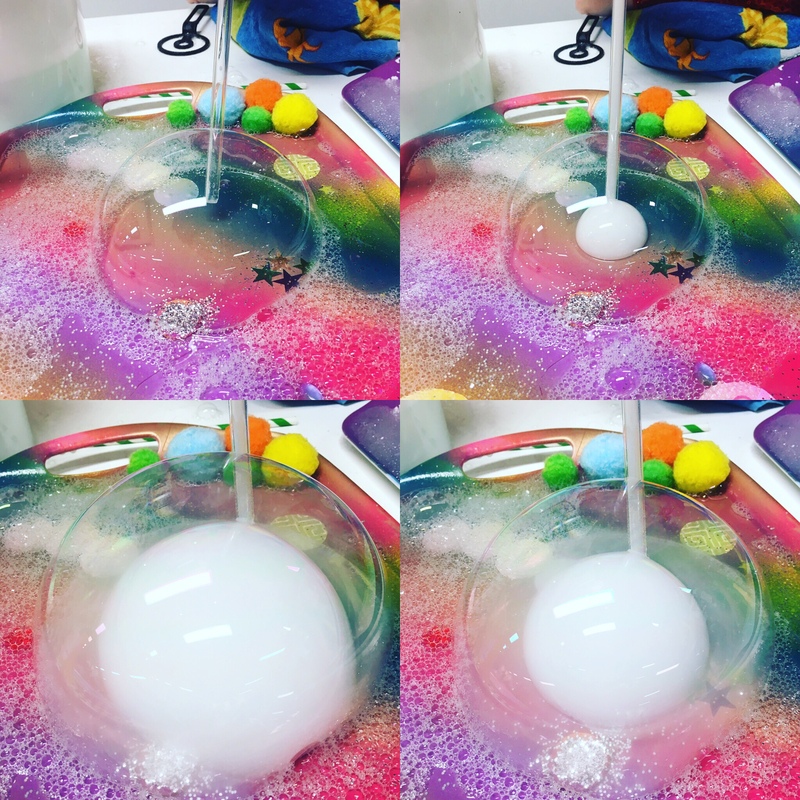 We incorporate bubble foam, bubble sculptures, bubbles inside bubbles, square bubbles, bubble shapes, and making their own bubble cube frames and mini hand wands.